T.R. Malthus’ “Essay on The Principle of Population”, the first edition of which was published in 1798, was one of the first systematic studies of the problem of population in relation to resources. Earlier discussions of the problem had been published by Boterro in Italy, Robert Wallace in England, and Benjamin Franklin in America. However Malthus’ “Essay” was the first to stress the fact that, in general, powerful checks operate continuously to keep human populations from increasing beyond their available food supply. In a later edition, published in 1803, he buttressed this assertion with carefully collected demographic and sociological data from many societies at various periods of their histories. The publication of Malthus’ “Essay” coincided with a wave of disillusionment which followed the optimism of the Enlightenment. The utopian societies predicted by the philosophers of the Enlightenment were compared with reign of terror in Robespierre’s France and with the miseries of industrial worker in England; and the discrepancy required an explanation. The optimism which preceded the French Revolution, and the disappointment which followed a few years later, closely paralleled the optimistic expectations of our own century, in the period after the Second World War, when it was thought that The transfer of technology to the less developed parts of the world would eliminate poverty, and the subsequent disappointment when poverty persisted. Science and technology developed rapidly in the second half of the twentieth century, but the benefits which they conferred were just as rapidly consumed by a global population which today is increasing at the rate of one billion people every fourteen years. Because of the close parallel between the optimism and disappointments of Malthus’ time and those of our own, much light can be thrown on our present situation by rereading the debate between Malthus and his contemporaries. Thomas Robert Malthus (1766-1834, always called Robert or Bob) came from an intellectual family: His father, Daniel Malthus, was a moderately well-to-do English country gentleman, an enthusiastic believer in the optimistic ideas of the Enlightenment, and a friend of the philosophers Henry Rousseau, David Hume and William Godwin. The famous book on population by the younger Malthus grew out of conversations with his father. In 1793, Robert Malthus was elected a fellow of Jesus College, and he also took orders in the Anglican Church. He was assigned as Curate to Okewood Chapel in Surrey. This small chapel stood in a woodland region, and Malthus’ illiterate parishioners were so poor that the women and children went without shoes. They lived in low thatched huts made of woven branches plastered with mud. The floors of these huts were of dirt, and the only light came from tiny window openings. Malthus’ parishioners diet consisted almost entirely of bread. The children of these cottagers developed late, and were stunted in growth. 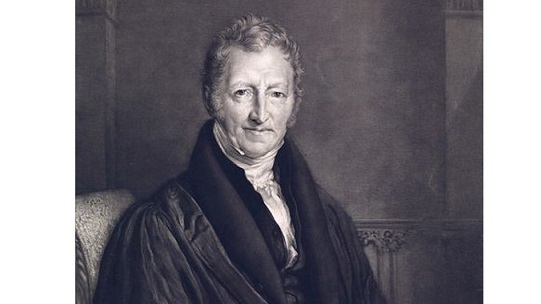 Nevertheless, in spite of the harsh conditions of his parishioners’ lives, Malthus noticed that the number of births which he recorded in the parish register greatly exceeded the number of deaths. It was probably this fact which first turned his attention to the problem of population. Robert Malthus lived with his parents at Albury, about nine miles from Oakwood, and it was here that the famous debates between father and son took place. As Daniel Malthus talked warmly about Godwin, Condorcet, and the idea of human progress, the mind of his son, Robert, turned to the unbalance between births and deaths which he had noticed among his parishioners at Oakwood Chapel. He pointed out to his father that no matter what benefits science might be able to confer, they would soon be eaten up by population growth. 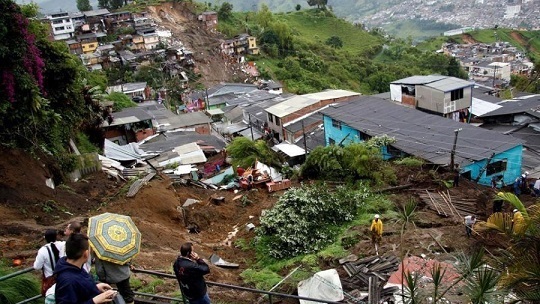 Regardless of technical progress, the condition of the lowest social class would remain exactly the same: The poor would continue to live, as they always had, on the exact borderline between survival and famine, clinging desperately to the lower edge of existence. For them, change for the worse was impossible since it would loosen their precarious hold on life; their children would die and their numbers would diminish until they balanced the supply of food. But any change for the better was equally impossible, because if more nourishment should become available, more of the children of the poor would survive, and the share of food for each of them would again be reduced to the precise minimum required for life. Daniel Malthus was so impressed with his son’s arguments that he urged him to develop them into a small book. Robert Malthus’ first essay on population, written in response to his father’s urging, was only 50,000 words in length. It was published anonymously in 1798, and its full title was “An Essay on the Principle of Population, as it affects the future improvement of society, with remarks on the speculations of Mr. Godwin, M. Condorcet, and other writers”. Robert Malthus’ “Essay” explored the consequences of his basic thesis: that “the power of population is indefinitely greater than the power in the earth to produce subsistence for man”. In order to illustrate the power of human populations to grow quickly to enormous numbers if left completely unchecked, Malthus turned to statistics from the United States, where the population had doubled every 25 years for a century and a half. Malthus called this type of growth “geometrical” (today we would call it “exponential”); and, drawing on his mathematical education, he illustrated it by the progression1,2,4,8,16,32,64,128,256,..etc. In order to show that, in the long run, no improvement in agriculture could possibly keep pace with unchecked population growth, Malthus allowed that, in England, agricultural output might with great effort be doubled during the next quarter century; but during a subsequent 25-year period it could not again be doubled. The growth of agricultural output could at the very most follow an arithmetic (linear) progression, 1,2,3,4,5,6,…etc. Because of the overpoweringly greater numbers which can potentially be generated by exponential population growth, as contrasted to the slow linear progression of sustenance, Malthus was convinced that at almost all stages of human history, population has not expanded freely, but has instead pressed painfully against the limits of its food supply. He maintained that human numbers are normally held in check either by “vice or misery”. (Malthus classified both war and birth control as forms of vice.) Occasionally the food supply increases through some improvement in agriculture, or through the opening of new lands; but population then grows very rapidly, and soon a new equilibrium is established, with misery and vice once more holding the population in check. Like Godwin’s “Political Justice”, Malthus’ “Essay on the Principle of Population” was published at exactly the right moment to capture the prevailing mood of England. In 1793, the mood had been optimistic; but by 1798, hopes for reform had been replaced by reaction and pessimism. Public opinion had been changed by Robespierre’s Reign of Terror and by the threat of a French invasion. Malthus’ clear and powerfully written essay caught the attention of readers not only because it appeared at the right moment, but also because his two contrasting mathematical laws of growth were so striking. In 1801, Godwin published a reply to his critics, among them his former friends James Mackintosh and Samuel Parr, by whom he recently had been attacked. His “Reply to Parr” also contained a reply to Malthus: Godwin granted that the problem of overpopulation raised by Malthus was an extremely serious one. However, Godwin wrote, all that is needed to solve the problem is a change of the attitudes of society. For example we need to abandon the belief “that it is the first duty of princes to watch for (i.e. encourage) the multiplication of their subjects, and that a man or woman who passes the term of life in a condition of celibacy is to be considered as having failed to discharge the principal obligations owed to the community”. “On the contrary”, Godwin continued, “it now appears to be rather the man who rears a numerous family that has to some degree transgressed the consideration he owes to the public welfare”. Godwin suggested that each marriage should be allowed only two or three children or whatever number might be needed to balance the current rates of mortality and celibacy. This duty to society, Godwin wrote, would surely not be too great a hardship to be endured, once the reasons for it were thoroughly understood. Malthus’ small essay had captured public attention in England, and he was anxious to expand it with empirical data which would show his principle of population to be valid not only in England in his own day, but in all societies and all periods. He therefore traveled widely, collecting data. He also made use of the books of explorers, such as Cook and Vancouver. Malthus second edition, more than three times the length of his original essay on population, was ready in 1803. Book I and Book II of the 1803 edition of Malthus’ “Essay” are devoted to a study of the checks to population growth which have operated throughout history in all the countries of the world for which he possessed facts. In his first chapter, Malthus stressed the potentially enormous power of population growth contrasted the slow growth of the food supply. He concluded that strong checks to the increase of population must almost always be operating to keep human numbers within the bounds of sustenance. He classified the checks as either preventive or positive, the preventive checks being those which reduce fertility, while the positive checks are those which increase mortality.Among the positive checks, Malthus listed “unwholesome occupations, severe labour and exposure to the seasons, extreme poverty, bad nursing of children, great towns, excesses of all kinds, the whole train of common diseases and epidemics, wars, plague, and famine”. In the following chapters of Books I, Malthus showed in detail the mechanisms by which population is held at the level of sustenance in various cultures. He first discussed primitive hunter-gatherer societies, such as the inhabitants of Tierra del Fuego, Van Diemens Land and New Holland, and those tribes of North American Indians living predominantly by hunting. In hunting societies, he pointed out, the population is inevitably very sparse. “The great extent of territory required for the support of the hunter has been repeatedly stated and acknowledged”, Malthus wrote, “…The tribes of hunters, like beasts of prey, whom they resemble in their mode of subsistence, will consequently be thinly scattered over the surface of the earth. Like beasts of prey, they must either drive away or fly from every rival, and be engaged in perpetual contests with each other…The neighboring nations live in a perpetual state of hostility with each other. The very act of increasing in one tribe must be an act of aggression against its neighbors, as a larger range of territory will be necessary to support its increased numbers. The contest will in this case continue, either till the equilibrium is restored by mutual losses, or till the weaker party is exterminated or driven from its country… Their object in battle is not conquest but destruction. The life of the victor depends on the death of the enemy”. Malthus concluded that among the American Indians of his time, war was the predominant check to population growth, although famine, disease and infanticide each played a part. In Book II, Malthus turned to the nations of Europe, as they appeared at the end of the 18th century, and here he presents us with a different picture. Although in these societies poverty, unsanitary housing, child labour, malnutrition and disease all took a heavy toll, war produced far less mortality than in hunting and pastoral societies, and the preventive checks, which lower fertility, played a much larger roll. Malthus painted a very dark panorama of population pressure and its consequences in human societies throughout the world and throughout history: At the lowest stage of cultural development are the hunter-gatherer societies, where the density of population is extremely low. Nevertheless, the area required to support the hunters is so enormous that even their sparse and thinly scattered numbers press hard against the limits of sustenance. 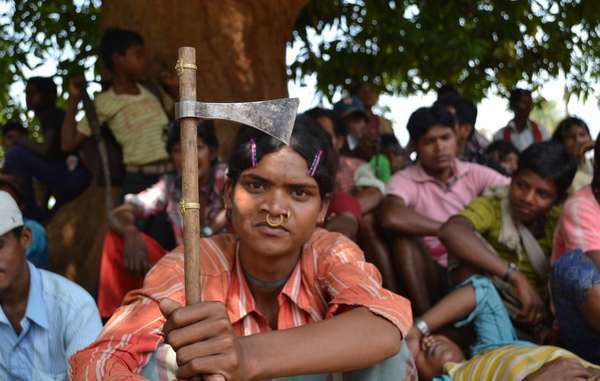 The resulting competition for territory produces merciless intertribal wars. The domestication of animals makes higher population densities possible; and wherever this new mode of food production is adopted, human numbers rapidly increase; but very soon a new equilibrium is established, with the population of pastoral societies once more pressing painfully against the limits of the food supply, growing a little in good years, and being cut back in bad years by famine, disease and war. Finally, agricultural societies can maintain extremely high densities of population; but the time required to achieve a new equilibrium is very short. After a brief period of unrestricted growth, human numbers are once more crushed against the barrier of limited resources; and if excess lives are produced by overbreeding, they are soon extinguished by deaths among the children of the poor. Malthus was conscious that he had drawn an extremely dark picture of the human condition. He excused himself by saying that he has not done it gratuitously, but because he was convinced that the dark shades really are there, and that they form an important part of the picture. He did allow one ray of light, however: By 1803, his own studies of Norway, together with personal conversations with Godwin and the arguments in Godwin’s “Reply to Parr”, had convinced Malthus that “moral restraint” should be included among the possible checks to population growth. Thus he concluded Book II of his 1803 edition by saying that the checks which keep population down to the level of the means of subsistence can all be classified under the headings of “moral restraint, vice and misery”. (In his first edition he had maintained that vice and misery are the only possibilities). The second edition of Malthus’ “Essay” was published in 1803. It provoked a storm of controversy, and a flood of rebuttals. In 1803 England’s political situation was sensitive. Revolutions had recently occurred both in America and in France; and in England there was much agitation for radical change, against which Malthus provided counter-arguments. Pitt and his government had taken Malthus’ first edition seriously, and had abandoned their plans for extending the Poor Laws. Also, as a consequence of Malthus’ ideas, England’s first census was taken in 1801. This census, and subsequent ones, taken in 1811, 1821 and 1831, showed that England’s population was indeed increasing rapidly, just as Malthus had feared. (The population of England and Wales more than doubled in 80 years, from an estimated 6.6 million in 1750 to almost 14 million in 1831.) In 1803, the issues of poverty and population were at the center of the political arena, and articles refuting Malthus began to stream from the pens of England’s authors. Meanwhile, in Ireland, a dramatic series of events had occurred, confirming the ideas of Malthus. Anti-Catholic laws prevented the Irish cottagers from improving their social position; and instead they produced large families, fed almost exclusively on a diet of milk and potatoes. The potato and milk diet allowed a higher density of population to be supported in Ireland than would have been the case if the Irish diet had consisted primarily of wheat. As a result, the population of Ireland grew rapidly: In 1695 it had been approximately one million, but by 1821 it had reached 6,801,827. By 1845, the population of Ireland was more than eight million; and in that year the potato harvest failed because of blight. All who were able to do so fled from the country, many emigrating to the United States; but two million people died of starvation. As the result of this shock, Irish marriage habits changed, and late marriage became the norm, just as Malthus would have wished. After the Potato Famine of 1845, Ireland maintained a stable population of roughly four million. Malthus continued a life of quiet scholarship, unperturbed by the heated public debate which he had caused. At the age of 38, he married a second cousin. The marriage produced only three children, which at that time was considered to be a very small number. Thus he practiced the pattern of late marriage which he advocated. Although he was appointed rector of a church in Lincolnshire, he never preached there, hiring a curate to do this in his place. Instead of preaching, Malthus accepted an appointment as Professor of History and Political Economy at the East India Company’s College at Haileybury. This appointment made him the first professor of economics in England, and probably also the first in the world. Among the important books which he wrote while he held this post was “Principles of Political Economy, Considered with a View to their Practical Application”. Malthus also published numerous revised and expanded editions of his “Essay on the Principle of Population”. The third edition was published in 1806, the fourth in 1807, the fifth in 1817, and the sixth in 1826. In the societies that Malthus describes, we can see a clear link not only between population pressure and poverty, but also between population pressure and war. Undoubtedly this is why the suffering produced by poverty and war saturates so much of human history. Stabilization of population through birth control offers a key to eliminating this suffering. Does the contrast between the regions of our contemporary world mean that Malthus has been “proved wrong” in some regions and “proved right” in others? To answer this question, let us re-examine the basic assertion which Malthus puts forward in Books I and II of the 1803 version of his “Essay”. His basic thesis is that the maximum natural fertility of human populations is greatly in excess of replacement fertility. This being so, Malthus points out, human populations would always increase exponentially if they were not prevented from doing so by powerful and obvious checks. In general, Malthus tells us, populations cannot increase exponentially because the food supply increases slowly, or is constant. Therefore, he concludes, in most societies and almost all periods of history, checks to population growth are operating. These checks may be positive, or they may be preventive, the positive checks being those which raise the death rate, while the preventive checks lower the birth rate. There are, however, Malthus says, exceptional periods of history when the populations of certain societies do actually increase exponentially because of the opening of new lands or because of the introduction of new methods of food production. As an example, he cites the growth of the population of the United States, which doubled every 25 years over a period of 150 years. means of subsistence..” and “that the superior power (of population) cannot be checked without producing misery and vice..” This narrower model of population did not agree with Malthus’ own observations in Norway in 1799, and therefore in his 1803 “Essay” he allowed more scope for preventive checks, which included late marriage and moral restraint as well as birth control (which he classified under the heading of “vice”). 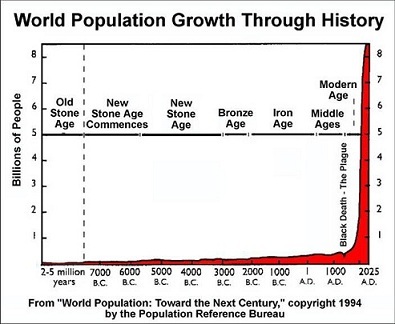 Today we are able to estimate the population of the world at various periods in history, and we can also make estimates of global population in prehistoric times. Looking at the data, we can see that the global population of humans has not followed an exponential curve as a function of time, but has instead followed a hyperbolic trajectory. At the time of Christ, the population of the world is believed to have been approximately 220 million. By 1500, the earth contained 450 million people, and by 1750, the global population exceeded 700 million. As the industrial and scientific revolution has accelerated, global population has responded by increasing at a break-neck speed: In 1930, the population of the world reached two billion; in 1958 three billion; in 1974 four billion; in 1988 five billion, and in 1999, six billion. Today, roughly a billion people are being added to the world’s population every fourteen years. But our food supply cannot keep increasing at this rate. On the contrary, the amount of food available to us is threatened by water shortages, climate change and the end of petroleum-supported high-yield agriculture. This, facing the threat of an extremely large-scale global famine, we need to listen to the warning voice of Malthus. Thomas Robert Malthus, mathematician and economist, warning voice, we need your voice today! Human cultural evolution can be regarded as an enormous success in many respects. However, thoughtful observers agree that civilization is entering a period of crisis. As all curves move exponentially upward: population, production, consumption, etc, one can observe signs of increasing environmental stress, while the existence of nuclear weapons threaten civilization with destruction. The ultimate way to reduce our footprint on the planet is to reduce our population, a near impossible task in any civilisations but particularly capitalist ones. That’s the reason it’s shelved before it’s planned, except for the cruel Chinese example. Nevertheless, it must be done if we are to survive.